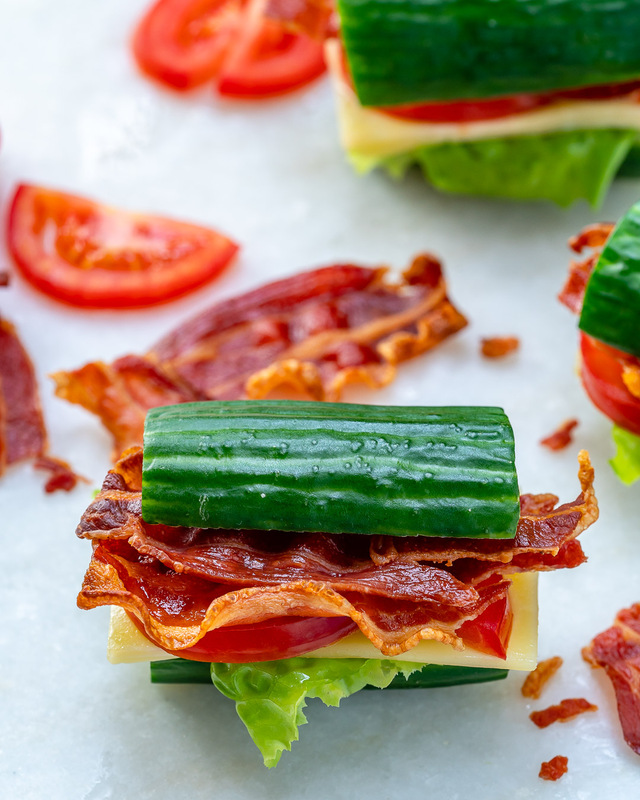 These Cucumber BLT’s are Perfect for Creative Clean Eating! 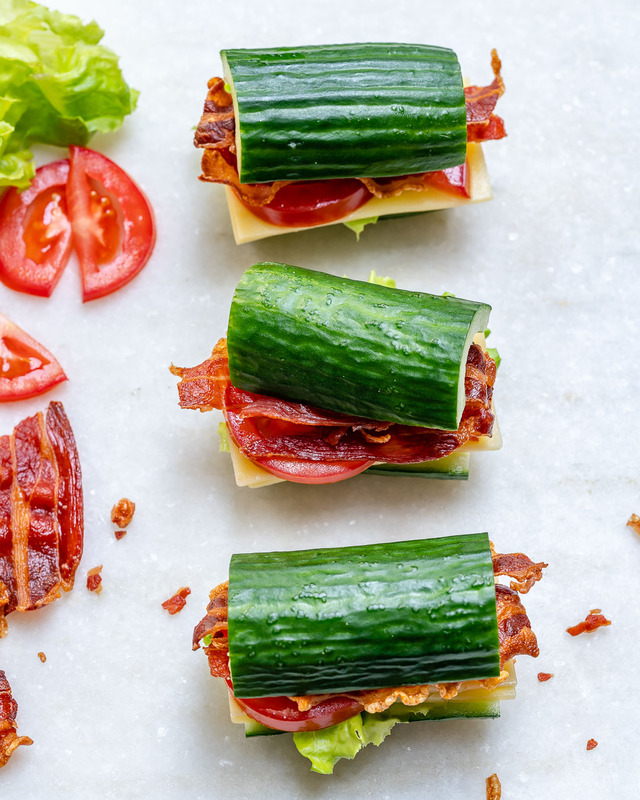 These are super quick + tasty. 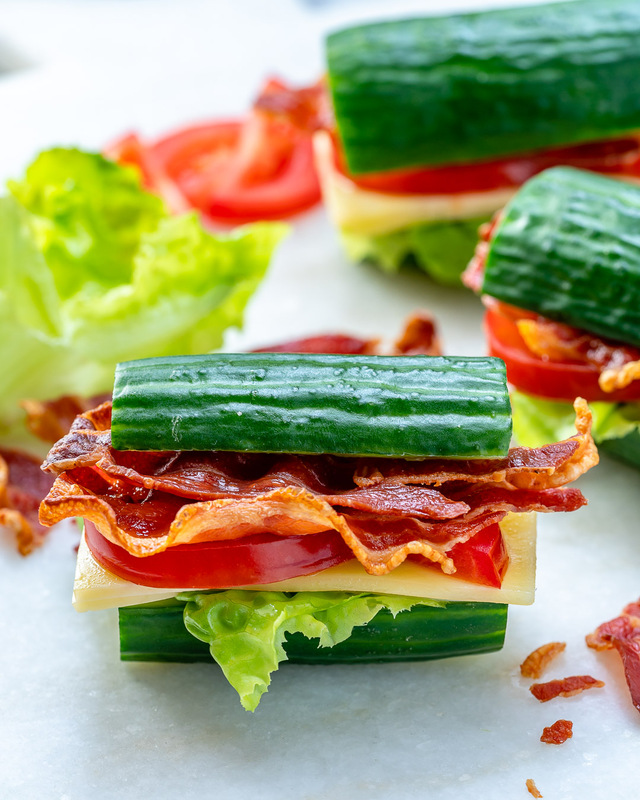 Be sure to use large English cucumbers for the best taste, and choose YOUR favorite condiments or sauce. 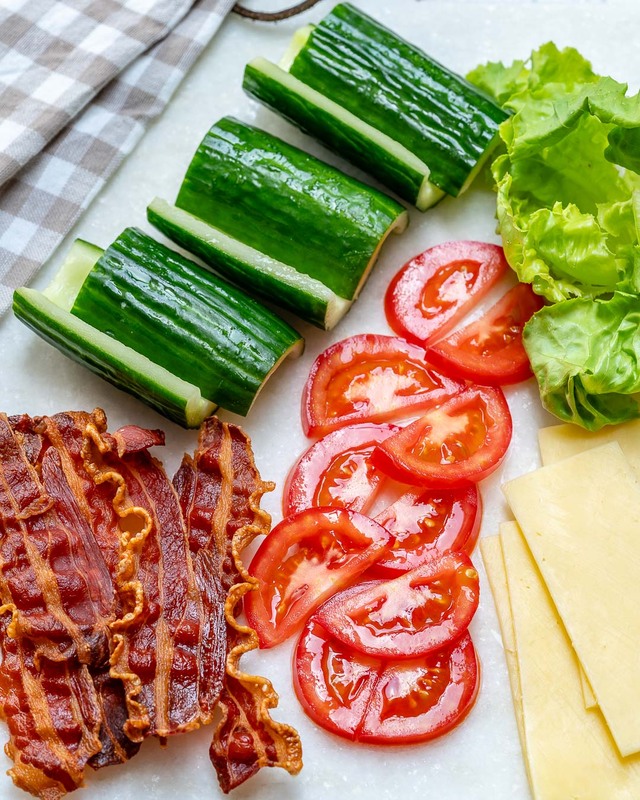 Next time I think I’ll add a few slices of sliced turkey too! 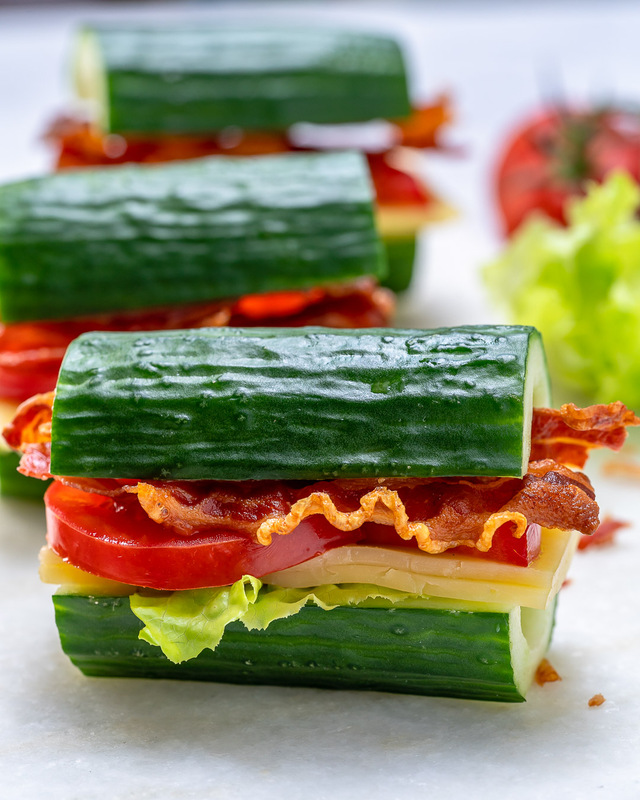 Slice cucumbers in half lengthwise, as shown then cut into 3 pieces each. Using a spoon, scoop out the seeds and discard. 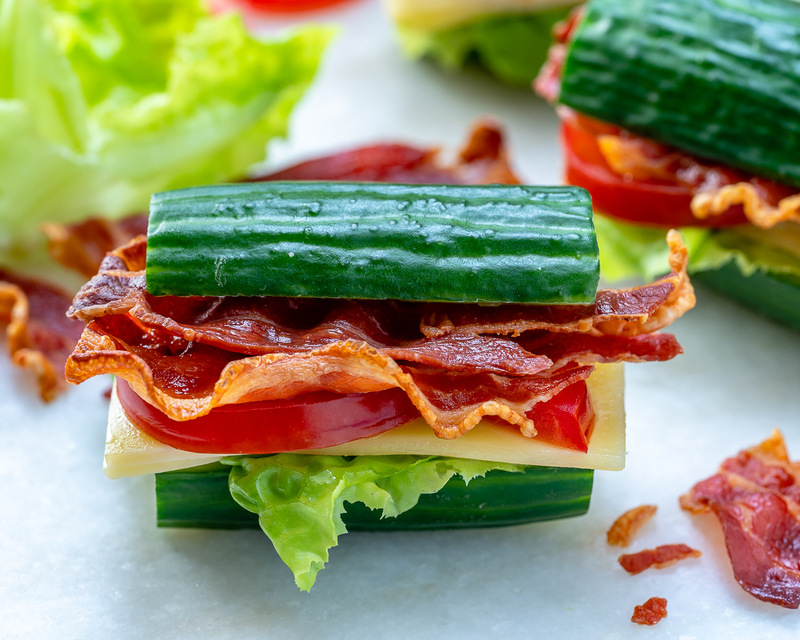 Layer lettuce, cheese, tomato and bacon on one half of the cucumber, optional sauce/condiment of choice, sea salt, and pepper to taste then top with the other half. 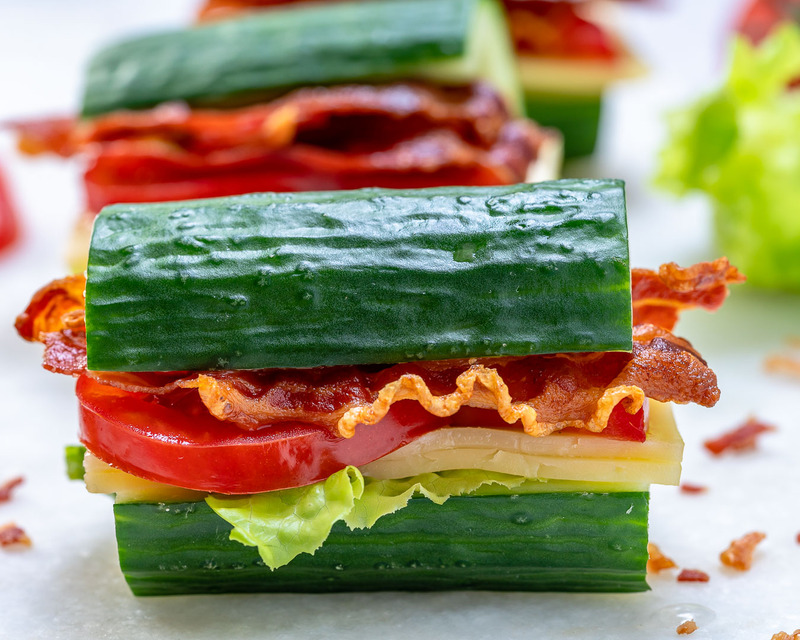 Rachel Slice cucumbers in half lengthwise, as shown then cut into 3 pieces each. Using a spoon, scoop out the seeds and discard. 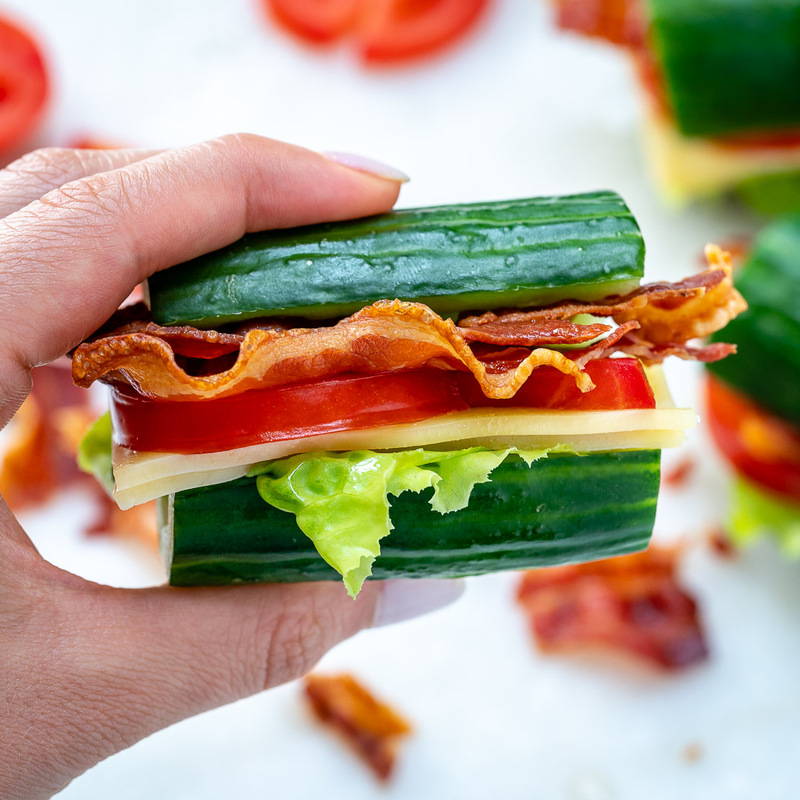 Layer lettuce, cheese, tomato and bacon on one half of the cucumber, optional sauce/condiment of choice, sea salt, and pepper to taste then top with the other half. Serve immediately and enjoy! organic mustard, dijon mustard, avocado mayonnaise, hummus, OR smashed avocado.